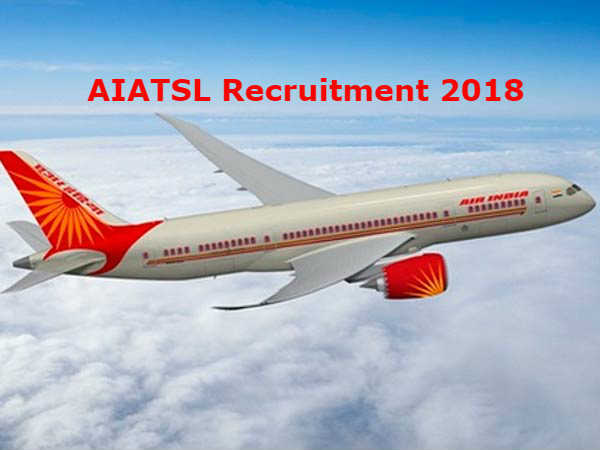 AIATSL Recruitment 2018: एयर इंडिया ट्रांसपोर्ट सर्विस लिमिटेड (AIATSL) ने सिक्योरिटी एजेंट के 63 पदों पर भर्ती के लिए आवेदन आमंत्रित किए है। इन पदों पर वॉक-इन-इंटरव्यू से भर्ती होगी। AIATSL has invited applications for recruitment to 63 posts of Security Agent. These posts will be recruited by Walk-in-interview. Check Notification, Vacancies List, Eligibility Criteria, Online Application Form, Pay Scale, Examination Dates and much more at Careerindia.